Mercedes has officially confirmed two of the most talked about premieres will indeed take center stage at the Paris motor show this October: the E-Class All-Terrain and an electric sedan concept. 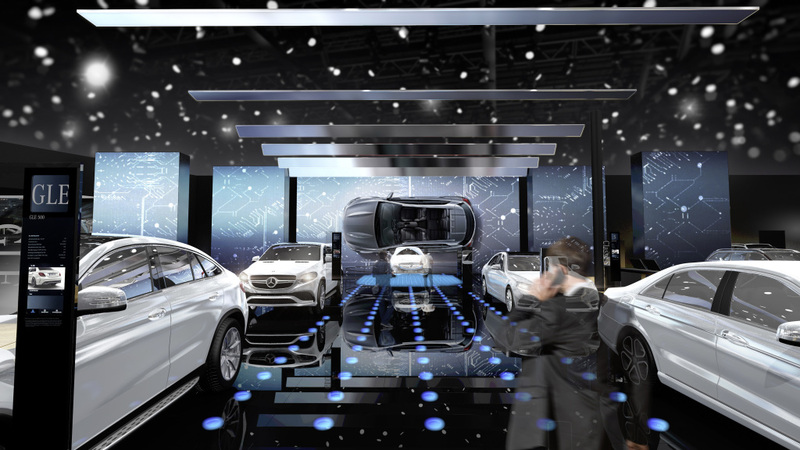 ”A Mercedes‑Benz show car embodying a concrete vision of a totally new generation of vehicles with battery-electric drive will also have its world premiere. A new member of the E‑Class family will also be on show for the first time: alongside the Saloon and Estate variants, the E‑Class All‑Terrain vehicle is a new, lifestyle-oriented addition to the model range,” says Mercedes’ press release. Thanks to off-road-based design features, the All-Terrain boasts a powerful and robust look and at the same time stands out from the classic estate. With a ground clearance that would lift the E-Class T-Modell with 4 centimeters from the ground, the new All-Terrain E will make use of the engines of the sedan. 4Matic 4-wheel drive will be offered as standard. The other premiere is the first all-electric model in the Mercedes-EQ range, shown at the Paris Motor Show in the form of a large sedan the size of an S-Class. The new car will be based on the new MEA (Modular Electric Architecture) platform, offering an electric range of around 500 kilometers (310 miles). Architecturally the Mercedes stand in Paris, which covers a total area of 2500 square metres, is framed by the “Silver Flow”. This extensive, attention-grabbing shape has been the symbol of Mercedes-Benz’s global trade show attendance since 2014. This year, electric mobility is in the spotlight. The focus on the topic is supported by the architecture of the trade show stand and its media presentations. Running centrally from the front edge through to the large LED panel on the rear building is the E‑Mobility Lane: the electric vehicles from Mercedes‑Benz Cars are positioned on black, backlit glass. 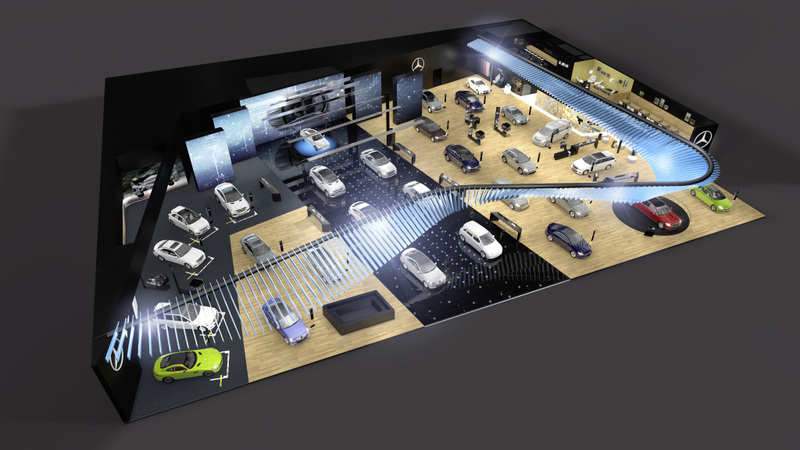 They form the cordon for the Mercedes‑Benz show car which is displayed in the central perspective. This provides a specific vision of a completely new vehicle generation with battery-electric drive system.